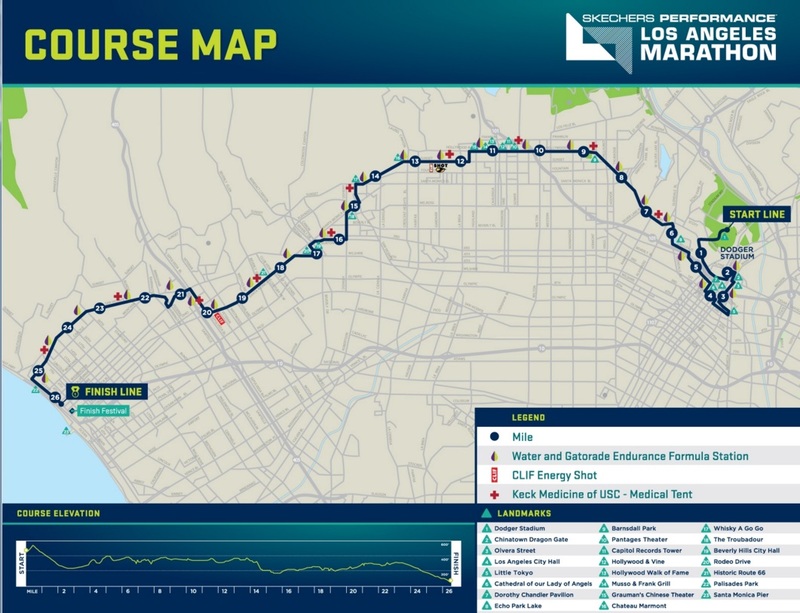 The Los Angeles Marathon returns this Sunday, Feb. 14 with the “Stadium to the Sea” course from Dodger Stadium to Santa Monica Pier. For those planning to attend or participate in the race, we recommend Metro Rail as the best way to get to all marathon festivities and avoid lengthy bus detours and street closures. Several Metro Rail stations are within walking distance to the route, including Chinatown, Union Station, Civic Center/Grand Park Station, Vermont/Sunset Station, Hollywood/Western Station, Hollywood/Vine Station and Hollywood/Highland Station. Metro will also operate free, non-stop shuttles between the City of Santa Monica and the Culver City Expo Line Station beginning at 5 a.m. Sunday. Customers may board shuttles on Washington Boulevard at Culver City Station, and in Santa Monica customers can board shuttles at the temporary bus hub on 11th/Olympic. Big Blue Bus will also be running shuttles between downtown Santa Monica and 11th/Olympic. Metro personnel will be on hand to assist customers at 7th St/Metro Center, Vermont/Santa Monica, Culver City, and the temporary bus hub. Check out the video below showing the entire course! In addition, numerous Metro bus lines will be disrupted along the marathon route. Lines normally traveling through the area will be rerouted. Customers planning to travel via bus should allow extra time in their commute. Listed here are Metro buses that will be impacted before and after the marathon: 2, 4, 10, 14, 16, 20, 28, 30, 33, 40, 45, 48, 55, 60, 68, 70, 71, 76, 78/79, 81, 83, 90/91, 92, 94, 96, 105, 156/656, 180/181, 200, 201, 204, 206, 207, 210, 212, 217, 218, 222, 487, 534, 603, 704, 720, 733, 745, 754, Gold Line Shuttle 854, Silver Line (910). For details on bus detours, check Metro’s Service Advisories page. Regular bus service on some lines will be restored as the race progresses, but full service to all lines is not expected until approximately early evening. For more information on routes and schedules call (323) GO-METRO or use Metro’s Trip Planner. 5 am till what time? Are the bike racks provided?